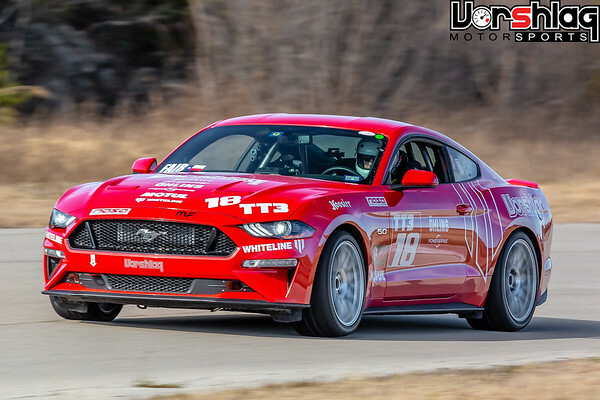 Most HPDE, Time Trial, and other road course groups are requiring front and rear tow hooks for all cars, to speed up "extractions" when someone has an off track excursion, or has a breakdown. For most cars there are some simple "screw in" tow hook options, but many Mustang chassis do not have an easy to install tow hook from the factory. There are countless "bolt on" tow hooks for these cars, but many of those require permanent holes be cut into painted sections of the bodywork. Others require the removal and replacement of well engineered crash beam structures - often replaced with little tubing with a hook on there. Scary stuff. For the road course groups that don't yet require tow hooks, when/if you have an off or some other breakdown that necessitates your car being "brought in on the hook", the wrecker driver will find a way to drag your car out of the swamp, onto the flat bed, or flat tow you on a strap into the pits. If whatever they hook onto damages your car's costly paint or bodywork, that's on you - nothing should slow down an event because you brought an under-prepared car. 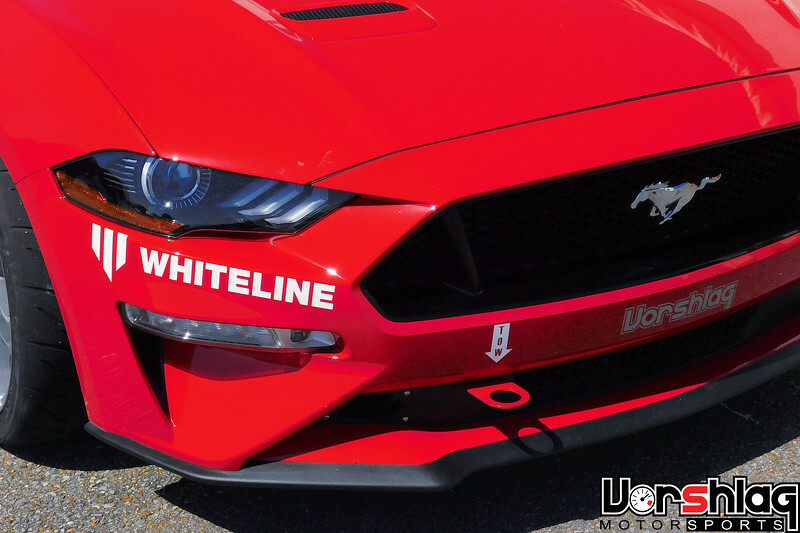 We looked at the variety of options for front and rear tow hooks for the S550 Mustang chassis, scratched our heads, and came up with some new options. This entry is for our "no cut" rear tow hook for the S550 chassis. This hook is made from plate steel, CNC plasma cut, bent on a fixture, and welded at the bend line - all here at Vorshlag. We then add a powder coat finish in gloss red. If you want a set in another color, call us - we will make you a "raw steel" set you can have painted or coated in whatever color you want. Due to the location of where the rear tow hook resides, it will likely see some exhaust residue, but again - you don't have to cut or drill or weld anything on your car to install these. It can also be removed painlessly if you are wanting to put the car "back to stock" later. This S550 Mustang rear tow hook requires removing the rear bumper cover, unbolting the rear crash beam, and sliding the hook between two of the factory bolt holes to secure it in place. 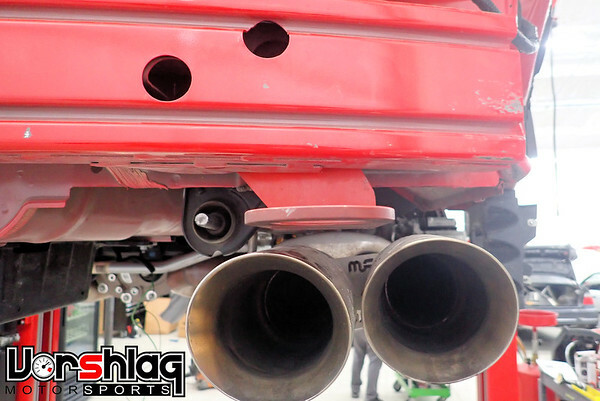 You might need to tweak your OEM or aftermarket exhaust tips a bit but this hook is made to just tuck into the rear valance cutout for the right side tailpipe on all 2015-2019 Mustang GT and Ecoboost models.